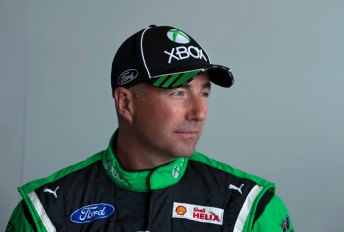 Marcos Ambrose has confirmed that his bombshell decision to quit Supercars just three events into his high-profile return in 2015 was his own call. Speaking on Fox Sports’ Inside Supercars program, Ambrose reflected on his motor racing career all the way from its infancy in his native Tasmania to the heights of the top tier of NASCAR and subsequent return to Australia. The two-time V8 Supercars champion said that the decision to step out of a full-time drive two events into the 2015 season was his own call, due to the demands of his nine years in NASCAR and struggle to acquaint himself with the modern Supercar. “I really only had that race at Homebush, which was a disaster,” Ambrose recalled of his wildcard start in the 2014 season finale. “(I) crashed the car in qualifying, got on the back foot and never really recovered. “Then we had a tough weekend at Clipsal (2015 Adelaide 500) but managed to get in the Top 10 Shootout and drove pretty well ‘til we got messed up on our pit strategy. “Then of course I thought, ‘Righto, we’ll get my head right, bounce back at the grand prix,’ and really struggled at the grand prix to make any headway. “That being said, I just never really got going and I felt like I wasn’t going to get going, it was going to be like that all season. “I just didn’t want to do that to the team, so it is what it is. “Certainly, it was my choice, my choice alone, to make that call. “I’m just thankful that Roger Penske and (Team Penske President) Tim Cindric and all the team at DJR were understanding of the situation. Ambrose did return as enduro co-driver to Scott Pye in the then-single car operation, but the 2015 Gold Coast 600 would be his last in any form of motorsport. The 41-year-old now runs a highly-rated wilderness lodge, Thousand Lakes Lodge, in his native Tasmania, a far cry from the hectic world of NASCAR which he drove in for nearly a decade. Ambrose has two NASCAR Cup race wins and five in the second-tier series to his name, of which six came at Watkins Glen and one at the Circuit Gilles Villeneuve. While he admitted that he is still dissatisfied to have not won on an oval, he conceded that his time in America was up at the end of 2014. “It still eats me,” Ambrose remarked. “I wanted to; that’s why I went to America, to race NASCAR on the ovals. “I got to a point where I was as good as I was going to get, I certainly wasn’t going to get any younger, the rides that I was already in were as good as I was going to get, and so I really reached that point where I was proud of what I’ve done but I just felt like I missed that last little bit. 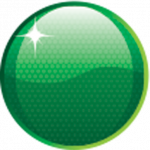 “I had my young family away, overseas, and that comes with challenges. “Then you’re racing 36 times a year, plus all the travel, pre-season testing, marketing activities, and so I was away from home four days a week for around 45 weeks a year. “Over time it just wears you down.